We love the book The Stick Man, I mean what is there not to love. It is one of my girls favourites and Alice knows the story by heart. 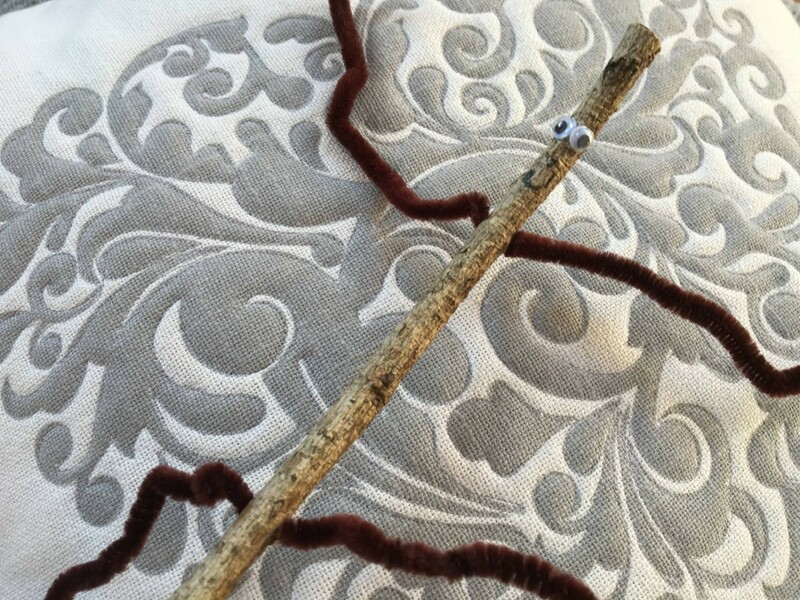 She made this cute Stick Man at preschool and loves it. We woke up to a lovely sunny day, got ourselves ready and popped our wellies in the boot ready to head off. It was just over an hour from us, Holly slept on the way which was a bonus as it meant we had more time before she would get tired. When we arrived it was a long drive through the woods to the car park and we were building the excitement with the girls. Getting them to see if they could spot The Family Tree. We parked up and Andy went to pay for parking and the girls and I got our welly boots on. We definitely needed them, it was very muddy. 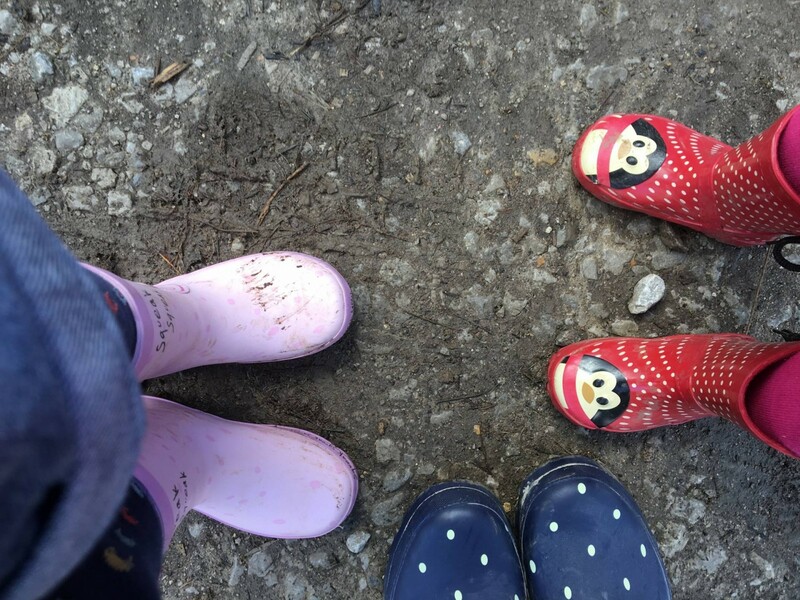 We decided not to take the pushchair, as we knew Holly would want to walk with Alice and I am pleased we didn’t as it was quite bumpy and very very muddy in places. The girls were both really excited by this point and it wasn’t long before they spotted the first Stick Man sign and rushed over to it with a beaming smile. I was so pleased to see that Holly recognised it too from the hundreds of times we have read the book. Alice loved spotting the clues as she called them and it quickly became a fun game. We could have brought an activity pack from the cafe before we started, but we decided we didn’t need it and we really didn’t. Finding the signs along the trail was enough to keep the girls entertained. Along the way, we found a den making area and there were lots of dens already made, which both Andy and I were pleased about. Saved us a job!! 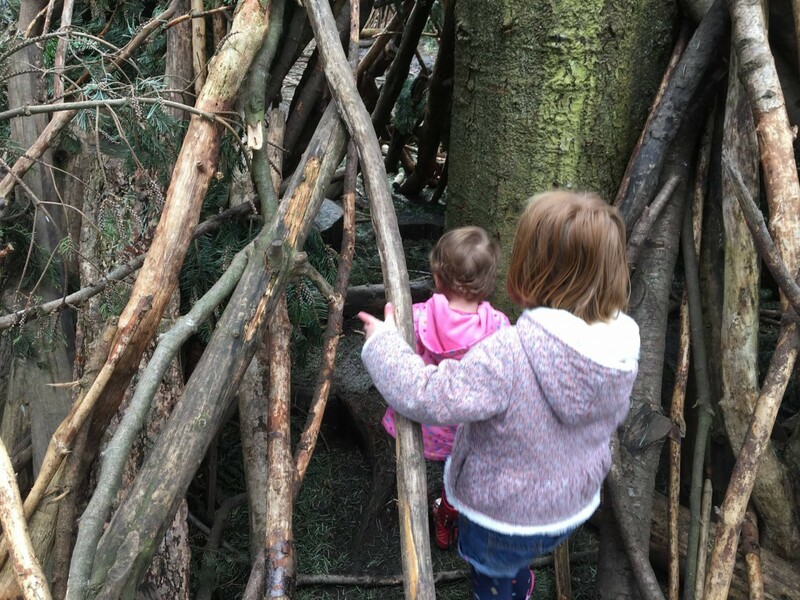 They both enjoyed going in them to explore, Holly leading the way. I think she definitely the braver one of the two. Whenever we saw a sign Holly would run up and point at it. 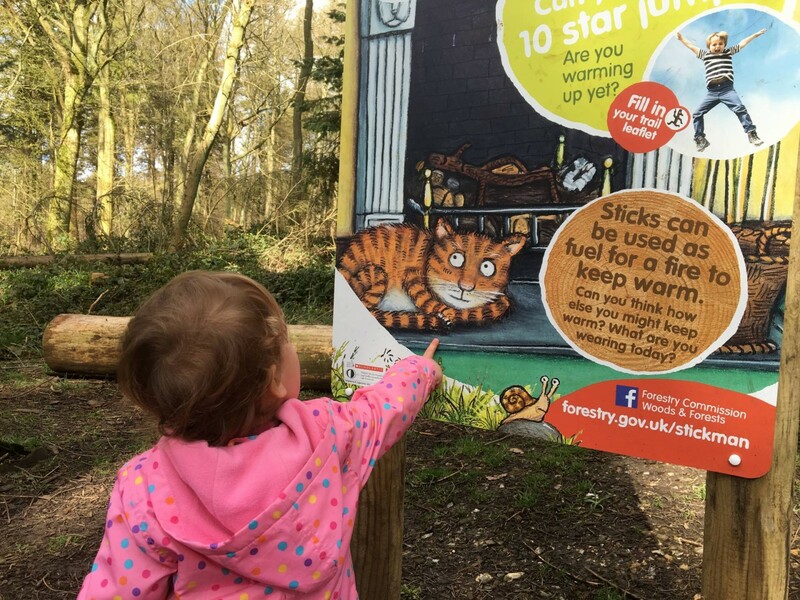 I was really impressed when she spotted the cat on the sign and said ‘cat’. Her speech is really coming along now and I love to hear her little voice. On each of the signs there were things to talk to your children about and on one it talked about the feel of trees and what do they feel like? are all the trees the same? 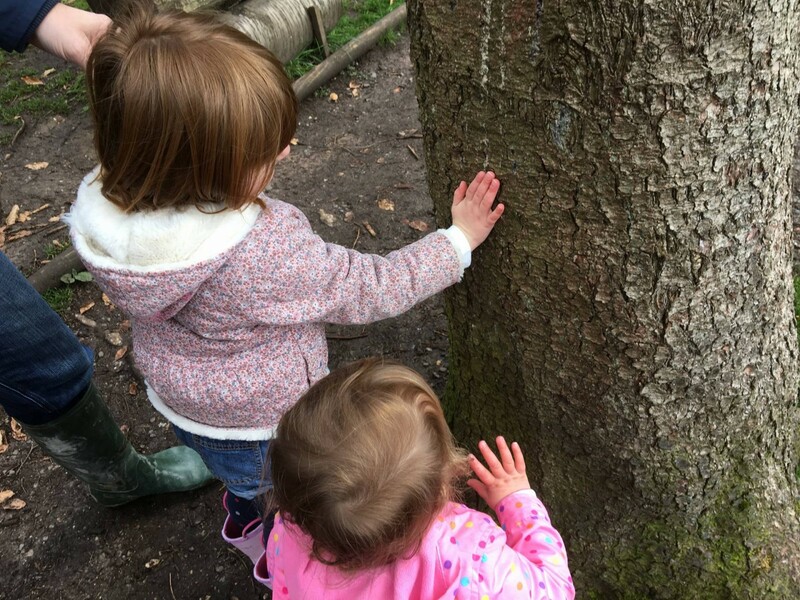 Alice loved feeling all the tress and seeing the differences and of course Holly copied her. Such a simple thing, but educational as well. But attentions were soon turned away as Alice spotted the Gruffalo, another favourite of ours. 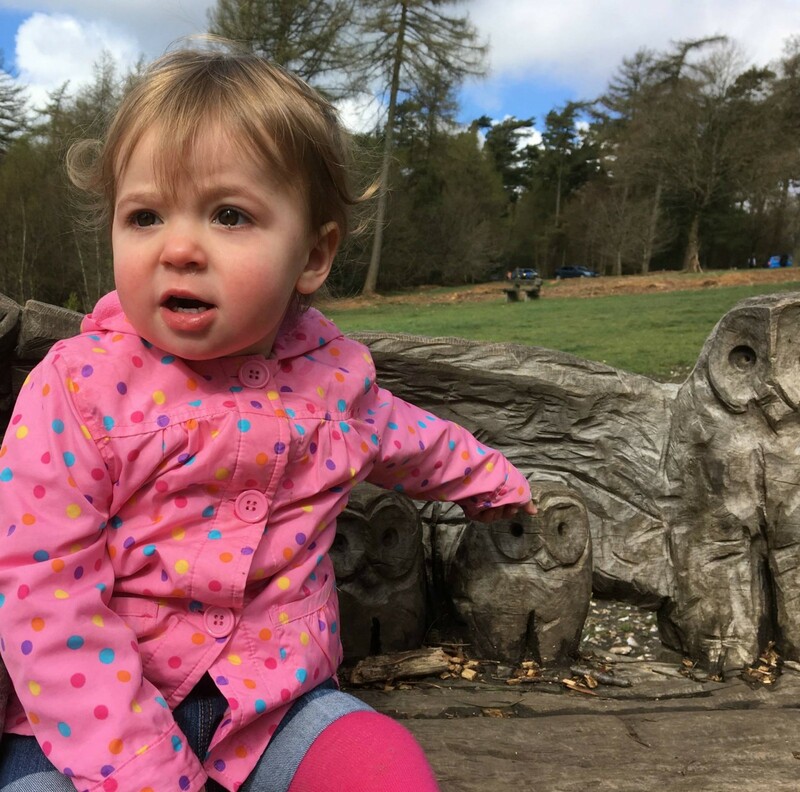 Next to the Gruffalo was a lovely bench with owls cut into it and the girls sat there for a snack. 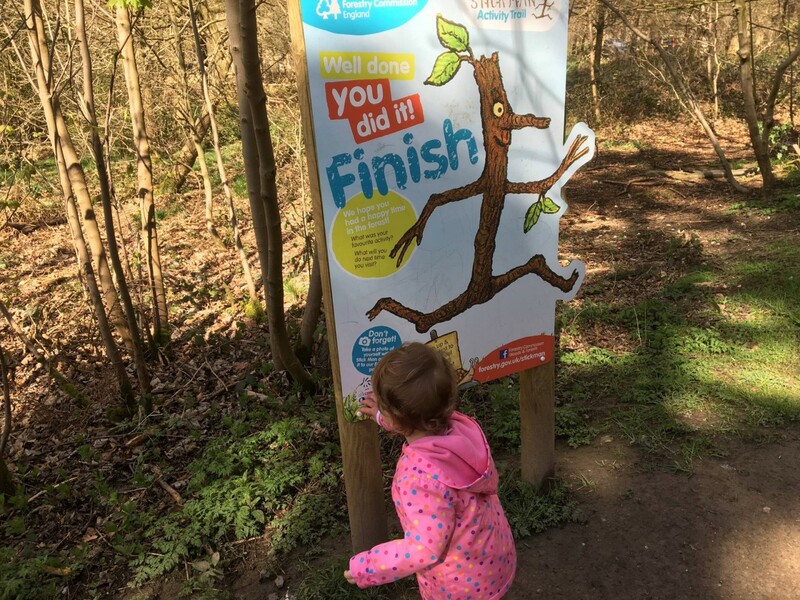 The stick man trail took us about forty minutes, which was just the right amount of time to keep the girls interest and also with their little legs. 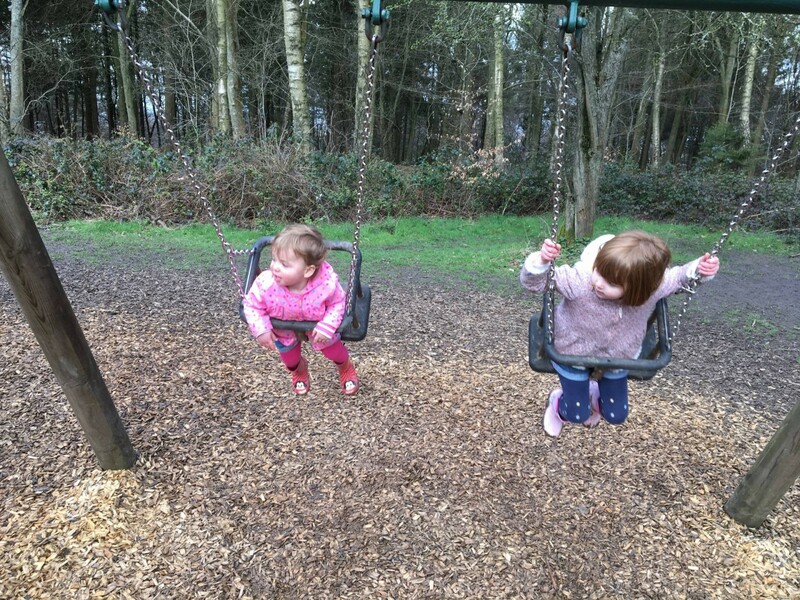 We then headed over to the park they had, as no day out is complete for us, without a go on the swings. I love how Alice always starts off on the big girl swing, because you know she is a big girl now. But, then it’s not long before she comes over to her sister and gives her a push on the swing, before asking if she can squeeze into the swing next to her. After a lovely morning walk and play it was time to bundle back in the car and find somewhere for lunch. We had a bit of time and decided to stop off somewhere on the way home. We ended up in Thame, a place I had not been before and they had a Prezzo which was perfect for the girls. We were all really hungry after the walk and enjoyed a nice lunch and Alice finished it off with some yummy ice cream. Then it was back in the car for the last bit of the journey home…where we read the Stick Man book on the way. 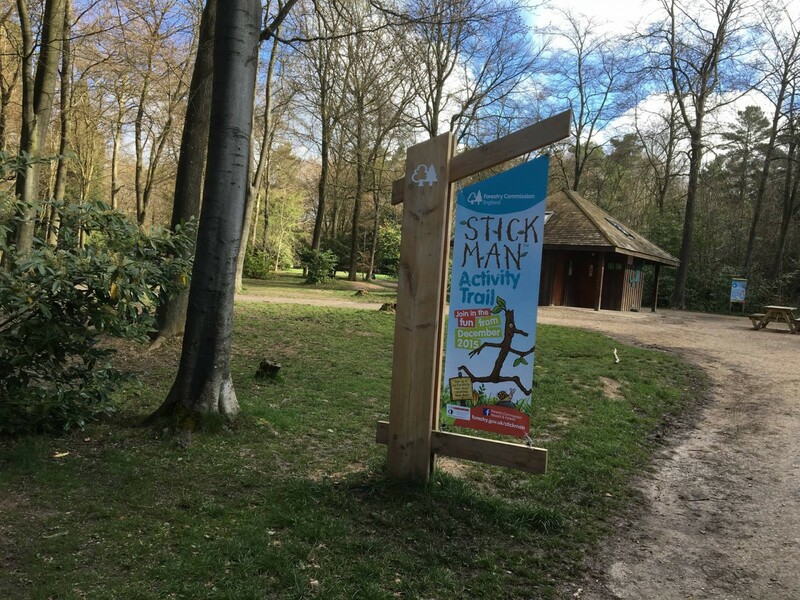 The Stick Man Trail is at a few different venus across the country, you can find the details here. It really was good fun for everyone. Previous Post: « Did your child get their school place? Looks like great fun. We’ve never read Stick Man but my son loves The Gruffalo so we should probaby get it. This looks like fantastic fun. 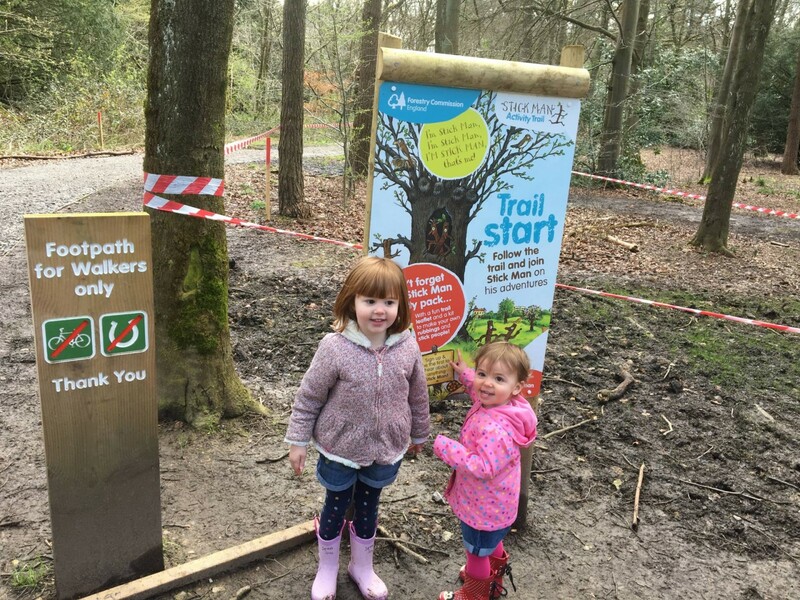 We love doing these and credit to the Forestry Commission for really making great efforts in engaging the next generation of outdoor lovers. I know it is fab! Looks like you had a lovely time. 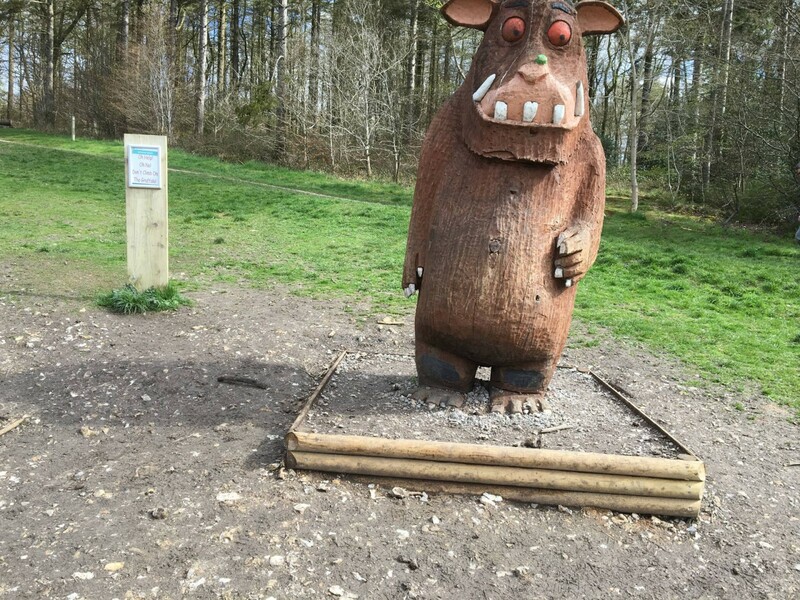 We did a Gruffalo trail a few years ago but we haven’t got a Stickman trail near us, my parents do so hopefully we can do the trail when we next visit them. Stick Man is a favourite in our hpuse too. In fact, we love all the Julia Donaldson books. My daughter’s favourite is Tabby McTat while my husband (?!) likes reading her Room on the Broom. 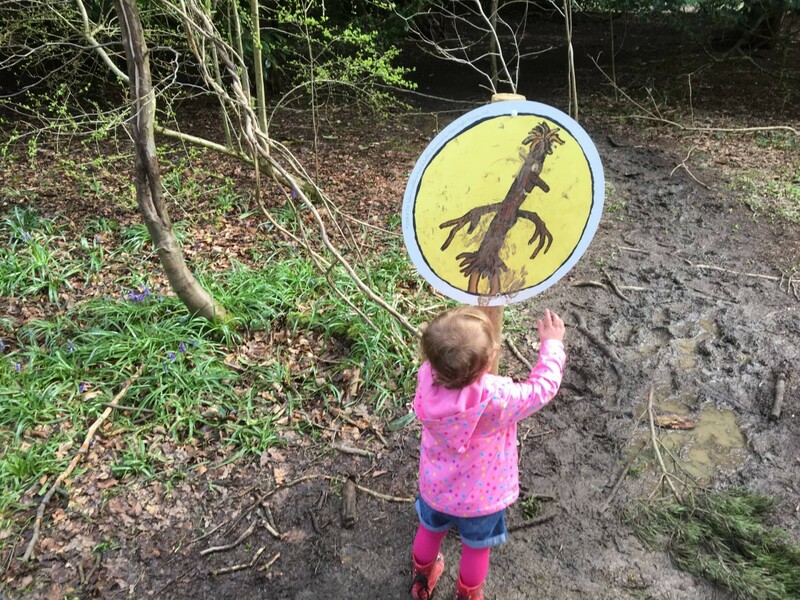 We went for a walk yesterday and they had a Stick Man trail. It looks so much fun, I can’t wait until Finn is old enough to appreciate things like that (Ok, I really want to have an excuse to do it myself!) Looks like your girls had fun and I loved the photos! This looks like a lovely day out :).